UICB MFA Candidates, Anne Covell, Cody Gieselman, and Radha Pandey will show their thesis work in the K.K. Merker Gallery November 10 - December 12. 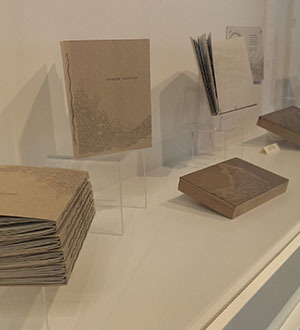 Finite Landscapes features letterpress printed books, watermarked paper, and paper sculpture. The Fall 2104 MFA candidates will host a reception on Thursday, November 20th from 5:30p - 8:30p in the basement of North Hall.